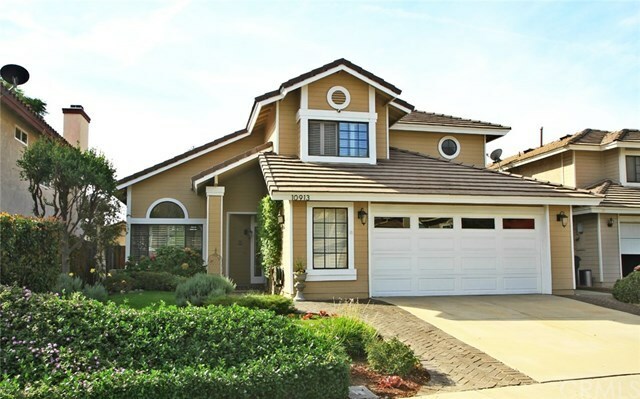 This beautiful home has 3 bedroom, 2.5 bath home located on a cul-de-sac in the highly desirable Victoria neighborhood in Rancho Cucamonga. Through the leaded glass front door is the living area with high ceilings. All the downstairs area have beautiful porcelain flooring and plantation shutters. The kitchen has granite counter tops, recessed lighting and new appliances. Family room has fireplace and a french door opening to the beautiful gardens blooming with flowers in the spring and summer time. The backyard also has a customized patio cover. All three bedrooms are upstairs. There are lots of custom storage space in the garage. It is a nice and well-maintained home with excellent location close to 210 freeway, parks, and schools.